God teaches me something new every time I write a book. Sometimes He shows me old things in new ways. Other times, it’s all new. I just hold on tight and hang on for the ride. I rarely outline a book before I begin writing. I do come up with a basic story line to satisfy my publisher, who insists on at least a simple synopsis. But the actual book might take off in a different direction entirely. Who knows where God will take things? Sometimes I wind up doing research midstream, when I find myself dealing with topics I don’t know enough about, or need to verify what I think I know. Those spur-of-the-moment research sessions are always fun and educational. But I especially love the times when God opens up His Word to me as I write, and shows me things I’d never thought about before. Or when he gives me a new understanding of some human weakness, enabling me to handle that limitation in my characters with accuracy and wisdom. 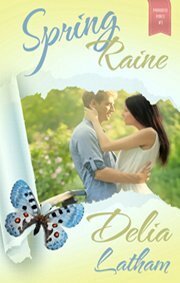 Spring Raine, the first book in my Paradise Pines series, was such a joy to write! I felt God teaching, leading and directing me all the way through the book. The heroine, Raine Presley, is a product of parents who are well-to-do, educated, and overly controlling. Mine were the opposite on all three counts. During her stay at Paradise Pines, Raine becomes involved in getting a teen outreach and shelter started. I’ve never done anything even remotely close, and had no idea where to take it until God started leading. Butterflies? I’ve always found them beautiful, graceful…almost magical. They’re one of the few insect-like creatures I can stand to look at, much less touch. But I didn’t really know the first thing about them. As readers open the cover of Spring Raine, I pray they also open their hearts to whatever God has for them within its pages. I hope they don’t discount the medium. God is God—He can use even romantic fiction to work on a human heart. May the change He works in yours be something beautiful…something good. Psalm 25:5 (KJV)—Lead me in Your truth, and teach me: for You are the God of my salvation. DELIA LATHAM is a born-and-bred California gal, raised in a place called Weedpatch and currently living in East Texas with her husband, Johnny. 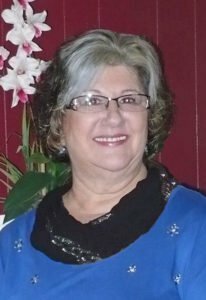 She enjoys multiple roles as Christian wife, mother, grandmother, sister and friend, but especially loves being a princess daughter to the King of Kings. She has a “thing” for Dr. Pepper, and loves to hear from her readers. Contact her through her website. Subscribe to Delia’s bi-monthly newsletter and receive a FREE short story! Spring Rain is such a beautiful story in so many ways. GOD truly does have a way of directing us to the path He wants us on, whether that be through a unplanned, uncharacteristic, trip, or small baby steps we don’t even realizes we are taking. I so enjoyed the pictures you painted with the butterflies. Simply beautiful! Thank you for the wonderful read! I am also glad to hear you are a seat of your pants writer. Gives this struggling girl a bit of hope that GOD can one day use even her. Thanks my friend. Congratulations on your latest, Delia. I can’t wait to read it, and I”m not just saying that LOL. Your stories always get me to a good place. Love and blessings to you, my friend. Delia, I’m reading Spring Raine right now, and loving it. I thought we were soul sisters before, but I’m closer to you through reading Raine’s story. I’m also writing, and today was slammed with another health concern. So I’m expectantly looking for what the Lord is going to reveal to me. I praise Him for Christian fiction, and I’m thankful for you. And I’m glad for the opportunity to know more about Castle Gate. LoRee, you’ve made my day! I’m so glad you’re enjoying this book. And I love anything that makes us closer! 🙂 Hugs, my friend!